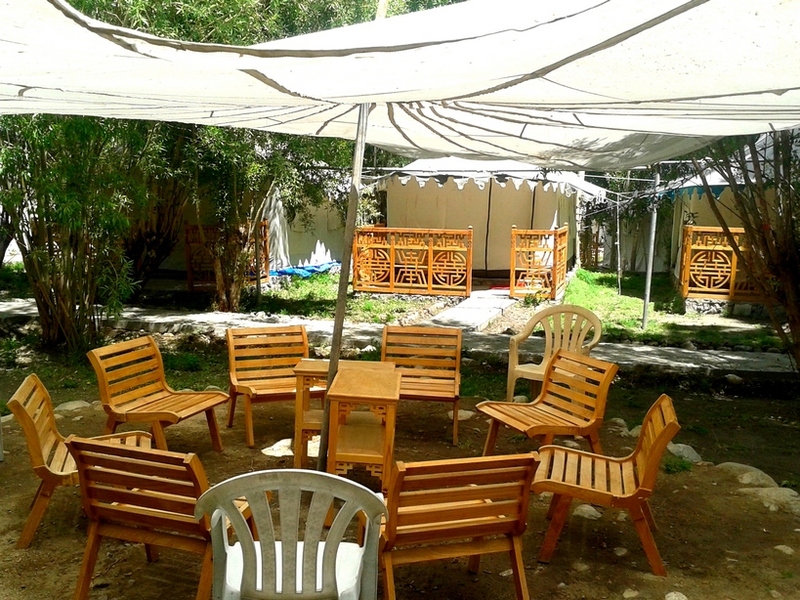 Nubra ethnic camp is situated in the beautiful village of Hunder (9300 ft) which is just 7 kms from Diskit, the headquarters of Nubra valley and two minutes walk from the famous sand dunes. 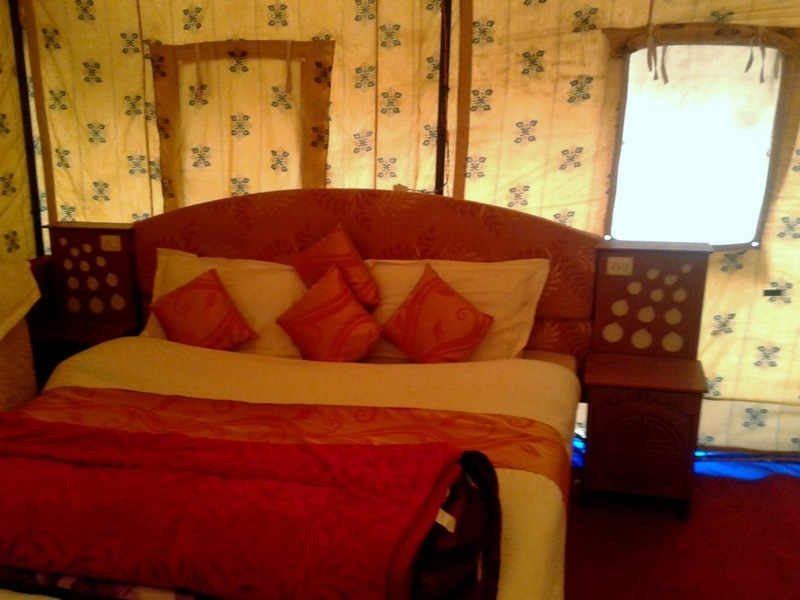 Nubra ethnic camp is “A” Class Camp which is a brand new camp with attach toilet & bath facility. 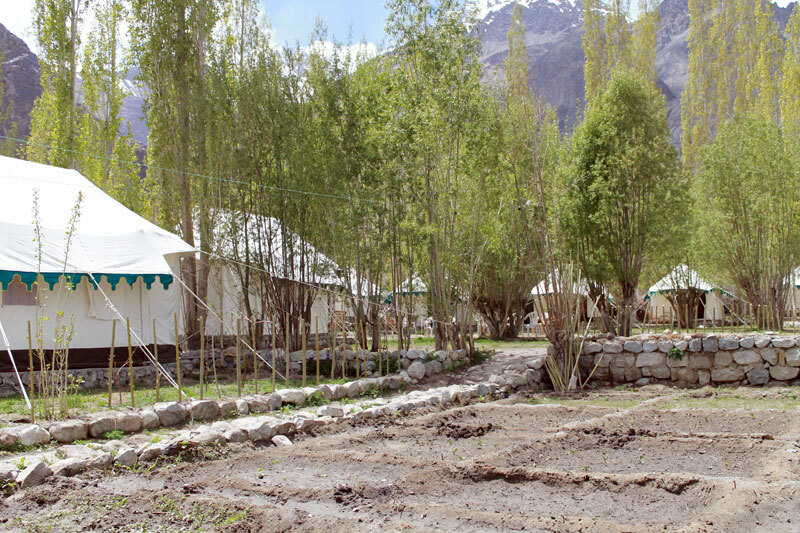 Spread over lush green farm land and orchard, Nubra ethnic Camp boasts of 20 well equipped and tastefully done double bedded comfortable tents. 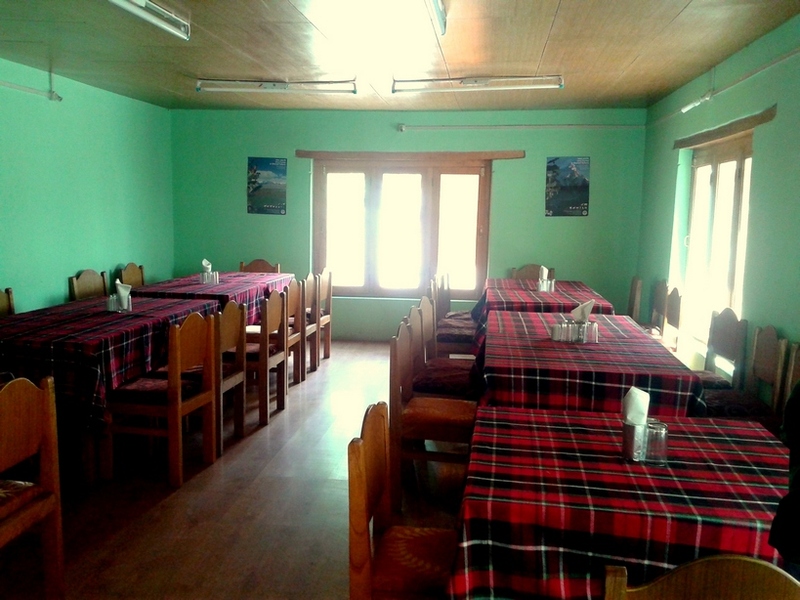 It has its own small organic garden and guests can enjoy the taste of locally grown vegetables. Tibetan, Chinese, Continental and Indian dishes. 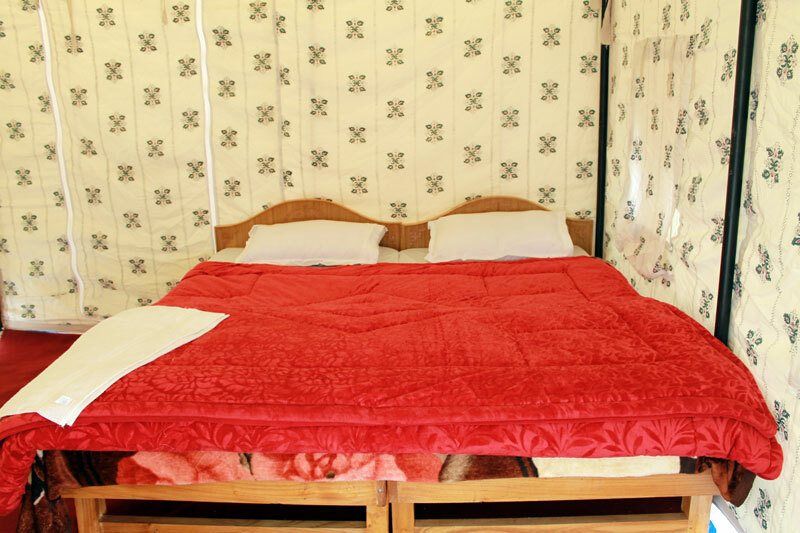 At our exclusive campsite we also provided up to date medical facilities for those who may be affected by High Altitude sickness besides first aid services. And our staff is knowledgeable in providing these facilities. 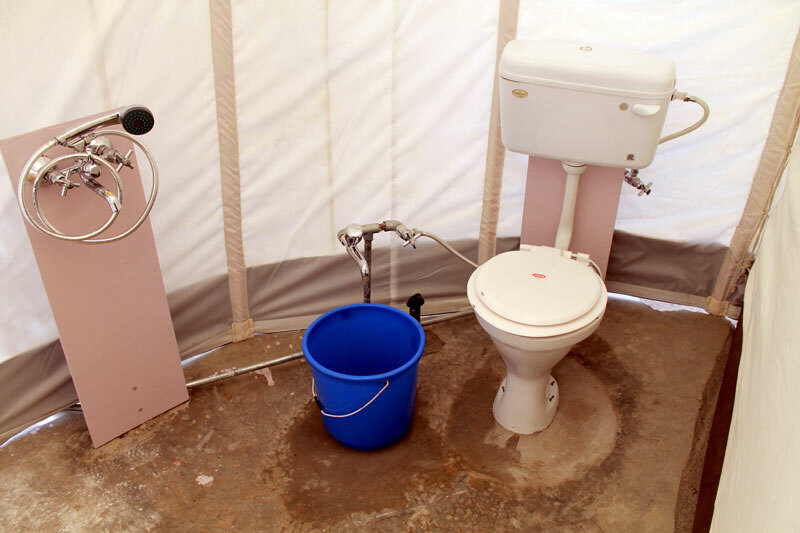 We also provide electricity in all our attached bathrooms.